Don't you think that maybe I should slow down ? Don't you think that maybe I should calm down ? Not available on any official album. The You Can Talk To Me artwork is from 'Sea.Cav.' (oil on canvas, 24" x 18", 1997). 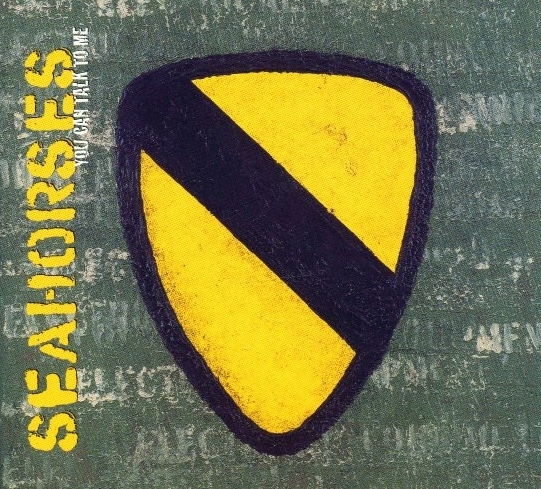 The Seahorses' fourth, and final, single. You Can Talk To Me is the first song that Squire and Helme wrote together. All three tracks on this single were recorded in London during October 1997 and produced by Youth. The Beatles' 'Hey Bulldog' ("You can talk to me, if you're lonely you can talk to me") is lyrically an influence here. You Can Talk To Me CD cover.